I’m frustrated and angry as I read a story of a shoplifting incident that resulted in the death of an innocent bystander. The loss of life and the whole incident could possibly have been avoided if clothing security tags had been in use by the store where the shoplifting took place. According to the report the alleged shoplifter was attempting to steal clothing. The report indicated the suspect was seen in camera footage filling his shopping cart with clothes. “Next he’s seen walking out the door with what police said is a bag of stolen items.” The suspect is accused of fleeing from police in a pick-up truck. While attempting to elude police the suspect ran into another vehicle and the driver of that car was killed. I am angry that the shoplifter tried to commit a crime and then placed others in jeopardy in his effort to escape. I am angry that there are those who would use this incident to justify the position that stores should just allow criminals (and that’s what they are…shoplifting is a crime) to leave. They argue that confronting a shoplifter poses a danger to store personnel and customers. I am also concerned about the apparent lack of security tags on clothes. The retailer is a well-known chain and I have shopped in their stores. I do not recall seeing any Checkpoint tags used on clothing in their locations. While tags are not a guarantee to stop shoplifting they do provide a strong deterrence to the crime. Clothing security tags are devices that are equipped with electronic article surveillance (EAS) technology that works in unison with Checkpoint pedestals. The EAS tech in the tags sends off a radio frequency wave that is received by a pedestal when it is carried into the detection field of the pedestal. When the pedestal picks up the signal of the tag alarms are set off creating a very loud beeping noise. Store personnel respond to these alarms and verify customer receipts against the merchandise they are taking out of the store. When done appropriately these receipt checks result in a “shopper” returning the merchandise or purchasing it. The beauty of Checkpoint tags is that they prevent shoplifting and attempts at shoplifting just by being attached to clothes. Shoplifters are not in the habit of wanting to advertise to store employees what they are doing. They want to get in, steal and get out. They know what the tags are and they generally steer clear of merchandise that is protected. I am aware that some readers are going to think that I am saying clothing security tags would have saved the victim’s life in this case. I am not going to go that far. There were a number of factors that came into play and I am not aware of them all. For example, I read that the subject had a track record of fleeing from police in prior incidents. One report alleged the suspect would see a police car and speed away without any indications the officer even noticed him. I also have no idea if he was approached at the doors of the store or if he was approached, what that interaction looked like. I have had shoplifters run from me for absolutely no reason at all except that they thought they were being followed. No, this unfortunate tragedy may have happened with or without the use of Checkpoint tags but I believe that the use of tags MAY have deterred the suspect and sent him elsewhere or changed his decision to try to steal. Bill Bregar and his team at Loss Prevention Systems Inc. know that there are dangers associated with shoplifting and want to eliminate that risk. This is why they trust Checkpoint tags and pedestals when recommending safety and security strategies to retail owners. Checkpoint’s equipment has a proven track record of success in shortage reduction and a natural consequence is improved safety for the store. There is nothing funny or cute about shoplifting. There are financial costs associated with the crime that impact the store owner and their legitimate customers. There can also be tragic consequences as seen in the referenced case. Use clothing security tags on your merchandise and reduce the chances that your employees or innocent bystanders will be injured or harmed due to criminal shoplifters. Get more information on Checkpoint tags, contact us or call 1.866.914.2567 today. According to the report the alleged shoplifter was attempting to steal clothing. The report indicated the suspect was seen in camera footage filling his shopping cart with clothes. “Next he’s seen walking out the door with what police said is a bag of stolen items.” The suspect is accused of fleeing from police in a pick-up truck. While attempting to elude police the suspect ran into another vehicle and the driver of that car was killed. I am angry that the shoplifter tried to commit a crime and then placed others in jeopardy in his effort to escape. I am angry that there are those who would use this incident to justify the position that stores should just allow criminals (and that’s what they are…shoplifting is a crime) to leave. They argue that confronting a shoplifter poses a danger to store personnel and customers. I am also concerned about the apparent lack of security tags on clothes. The retailer is a well-known chain and I have shopped in their stores. I do not recall seeing any hard tags used on clothing in their locations. While tags are not a guarantee to stop shoplifting they do provide a strong deterrence to the crime. Clothing security tags are devices that are equipped with electronic article surveillance (EAS) technology that works in unison with EAS pedestals. The EAS tech in the tags sends off a radio frequency wave that is received by a pedestal when it is carried into the detection field of the pedestal. When the pedestal picks up the signal of the tag, alarms are set off creating a very loud beeping noise. Store personnel respond to these alarms and verify customer receipts against the merchandise they are taking out of the store. When done appropriately these receipt checks result in a “shopper” returning the merchandise or purchasing it. The beauty of hard tags is that they prevent shoplifting and attempts at shoplifting just by being attached to clothes. 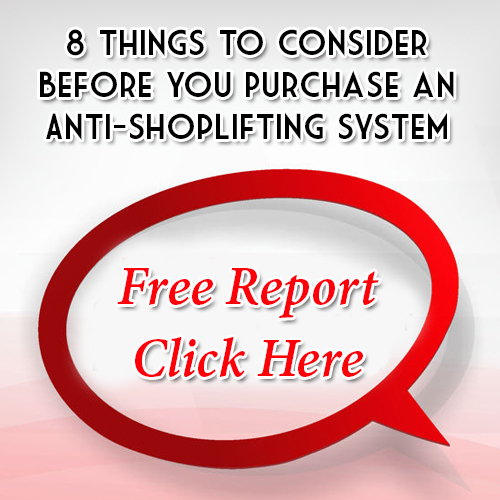 Shoplifters are not in the habit of wanting to advertise to store employees what they are doing. They want to get in, steal and get out. They know what the tags are and they generally steer clear of merchandise that is protected. I am aware that some readers are going to think that I am saying clothing security tags would have saved the victim’s life in this case. I am not going to go that far. There were a number of factors that came into play and I am not aware of them all. For example, I read that the subject had a track record of fleeing from police in prior incidents. One report alleged the suspect would see a police car and speed away without any indications the officer even noticed him. I also have no idea if he was approached at the doors of the store or if he was approached, what that interaction looked like. I have had shoplifters run from me for absolutely no reason at all except that they thought they were being followed. No, this unfortunate tragedy may have happened with or without the use of hard tags but I believe that the use of tags MAY have deterred the suspect and sent him elsewhere or changed his decision to try to steal. Bill Bregar and his team at Loss Prevention Systems Inc. know that there are dangers associated with shoplifting and want to eliminate that risk. This is why they trust hard tags and pedestals when recommending safety and security strategies to retail owners. Get more information on hard tags, contact us or call 1.866.914.2567 today.